Trustpilot is an online review company with 40 million reviews worldwide. Every day, people write 45,000 new reviews about businesses that they have experiences with online. Under my leadership, the UX team shipped several product improvements the helped improve trust among reviewers. Each business with reviews on Trustpilot has a profile page which is meant to help shoppers know if they can expect good service from the company. But the design of the company profile page was outdated, cluttered, and confusing... not something that would help us gain trust from our users. Based on user interviews, we chose key elements to improve. We made a new visual design that gave the page a fresh look but still fit with the rest of trustpilot.com. The team then did qualitative and quantitative testing with more than 12 different iterations to make sure the design was as useful and understandable as possible. The new responsive design is clean and puts focus on key aspects, and improved NPS scores related to visual design and ease of use. On mobile devices, which make up the majority of Trustpilot traffic, the redesign had a 33% increase in logins, another key metric. Collaborating on early-stage designs and providing feedback throughout the process. Many of Trustpilot’s reviewers write only one review on trustpilot.com and don’t return to the site. We wanted to encourage users to come back to Trustpilot to read and write more reviews. One method we already had of engaging reviewers was through email. Through ideation and concept testing, we found that users loved finding out how many people had read their review, so we created a digest email with that information. The new digest email had a 20% click-through rate, which was a great success. The digest email prompted 20% of recipients to come back to Trustpilot.com. Design by Rasmus Thimm. Each person who writes a review on Trustpilot for the first time receives an email letting them know that their review is live. 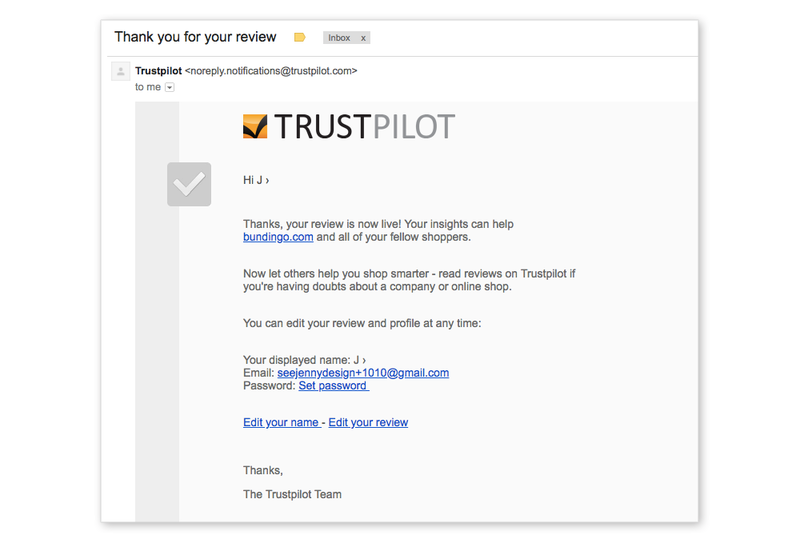 For security reasons, Trustpilot creates a password-protected account for new reviewers, but badly-written content in the emails led to the support team receiving many complaints from users who didn't want an account. The product manager and I worked with customer support to understand the problem and brainstorm ideas. We decided to not only rewrite the emails, but also create a new landing page to engage users after they write their review. The team tested and iterated on the exact content through interviews, concept testing, and A/B testing. The landing page helped engage users and encourage them to do more, such as adding a profile photo. And while the revised emails aren't flashy, they're extremely effective... and they reduced customer complaints about user accounts by 74%. 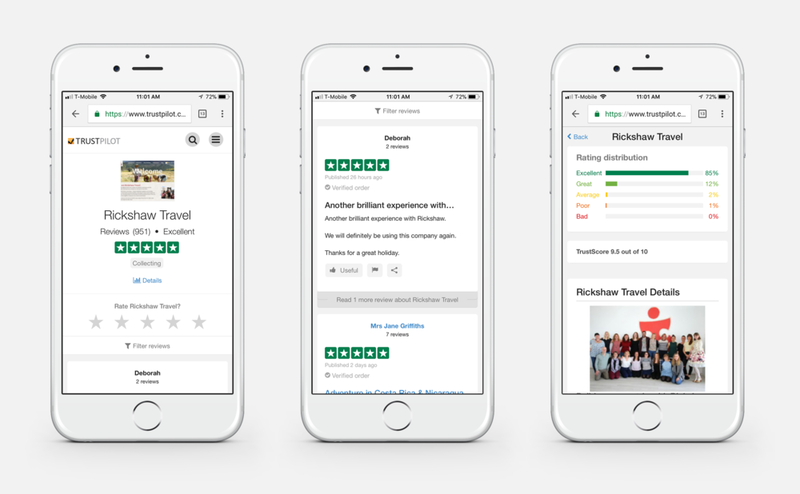 The team will be updating the visual design with the Trustpilot brand refresh in 2018. Helping identify the initial problem and following up to ensure that the project was prioritized and released. A sample review on the redesigned product. Design by Rasmus Thimm. Project management app: How can an app make it easy to manage projects from a phone?